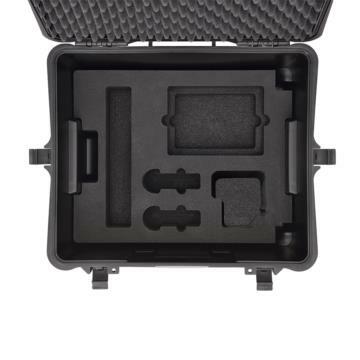 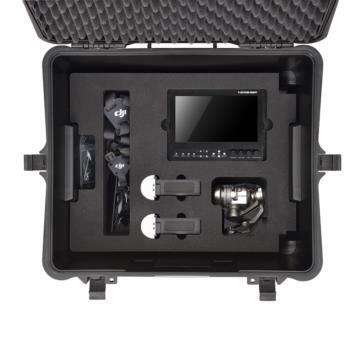 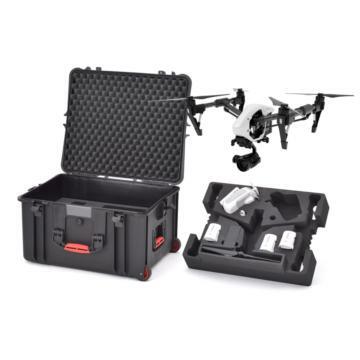 The INS2730W-02 hard case with foam for DJI Inspire 1 / Pro is a watertight hard case that features wheels and a retractable handle, designed to make travel easy. In addition to the Inspire 1 / Pro quadcopter and camera/gimbal assembly, the custom-cut foam interior will accommodate two transmitters, up to five spare flight batteries, up to two sets of props, a battery charger, two iPads Mini/Air or two 7"/10” field monitor, cables and tools, and more. The hardshell case is impact and drop resistant, corrosion resistant, and features a neoprene seal that when properly closed is designed to keep the case watertight and your gear protected even if submerged in shallow water. 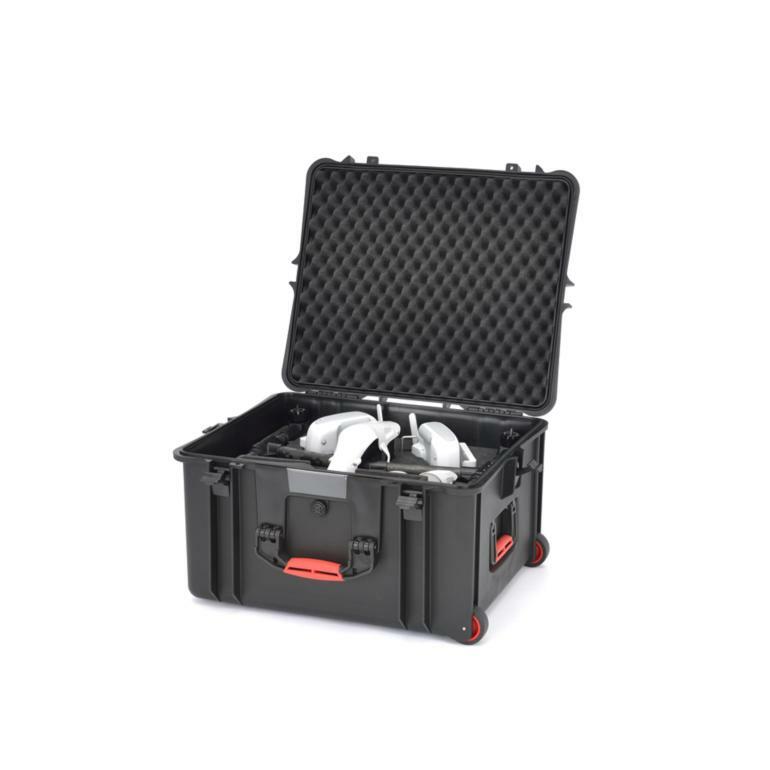 A release valve allows you to equalize air pressure when traveling between different elevations. 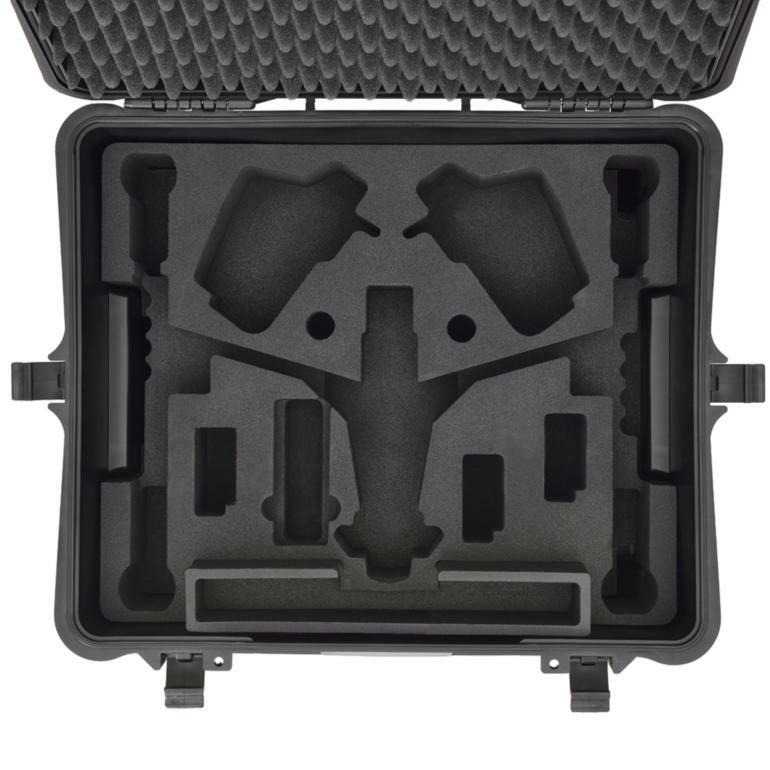 The modular nature of the interior means that after you've stopped using the Phantom 3 you can repurpose this case by replacing the foam cutout with either the HPRCCUB2730W foam or the HPRCSFD2730W divider kit.